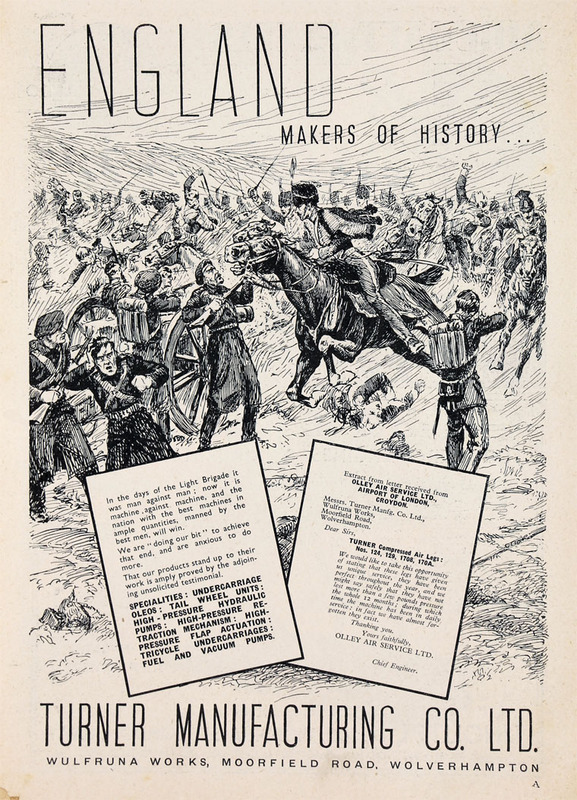 November 1922. 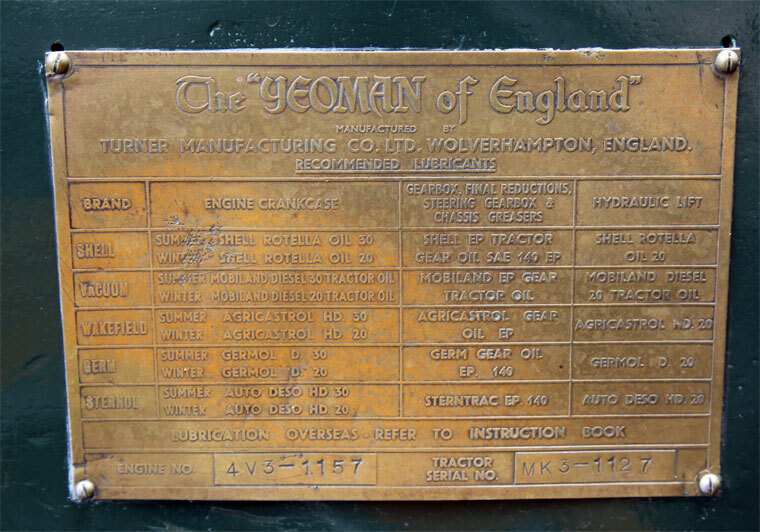 Turner Sales Ltd.
Yeoman of England. Reg No: RWD 512. Fitted with a Marles Steering Co steering box. Yeoman of England. Reg No: RWD 512. Yeoman of England (detail). Reg No: RWD 512. Mid-19th century. 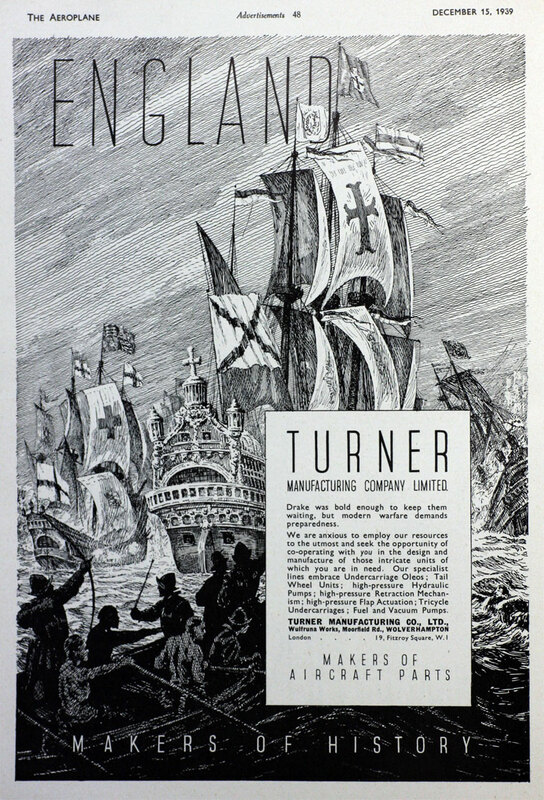 The Thomas Turner Company started as an engineering business. 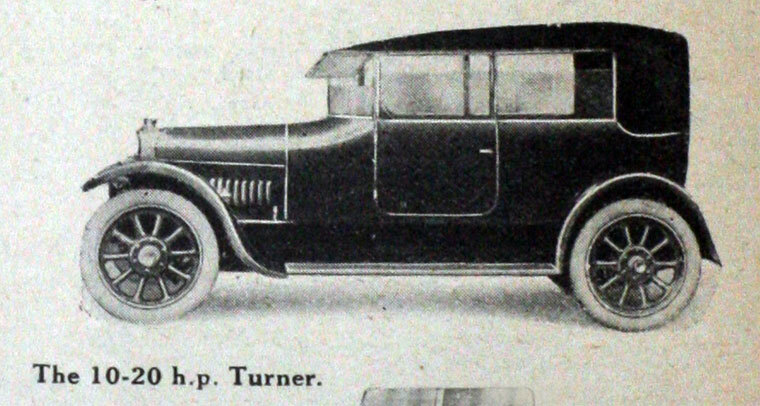 The Turner-Miesse steam cars were initially produced at the company's works in Walsall Street. The car had a three cylinder, single acting engine (steam only admitted above the piston) with a paraffin-fired flash boiler. 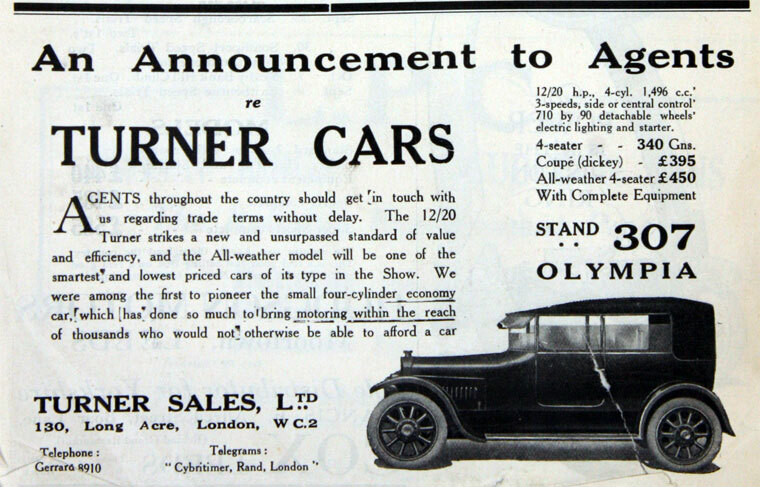 1902 Private company registered as Turner's Motor Manufacturing Co. Ltd to acquire as a going concern the motor manufacturing company of Thomas Turner which manufactured velocipedes and steam cars. 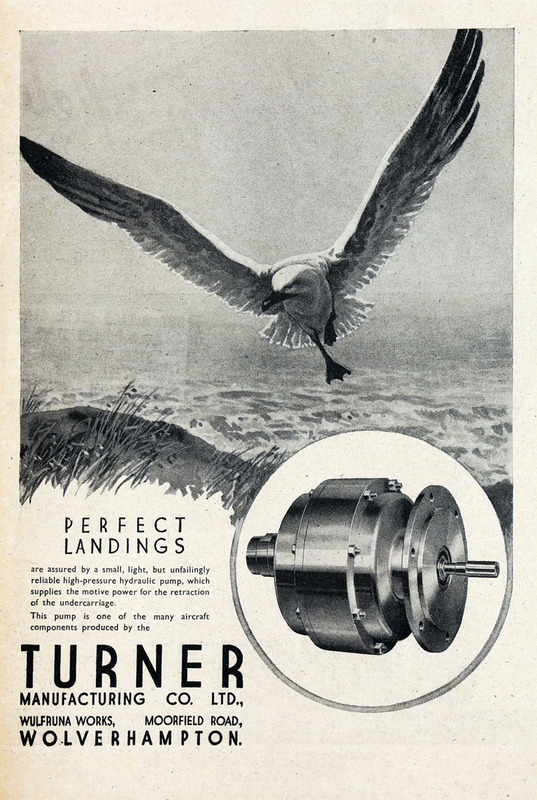 1934 Started to manufacture aircraft landing gear under the guidance of P. B. Dumbell the MD; as a result of WWII this product sold in such quantities that the works at Moorfield Road had to be enlarged. Seem to have also produced a marine diesel engine at this time. WWII Involved in aircraft engineering and manufactured military winches. 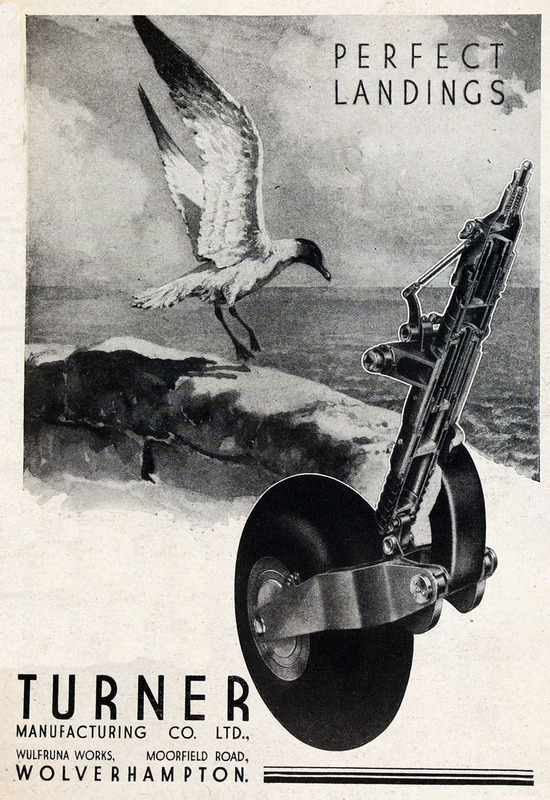 Post WWII: Aircraft activities were focussed on helicopter components and ground equipment. The company found it had excess capacity and so looked again at producing vehicles. There was also great interest in increasing agricultural production at the time so Turners started producing agricultural machinery. This resulted in the Yeoman of England tractor. The engine was designed in house by Freeman Sanders who also developed the Fowler diesel and Ferguson TEF20 engine. 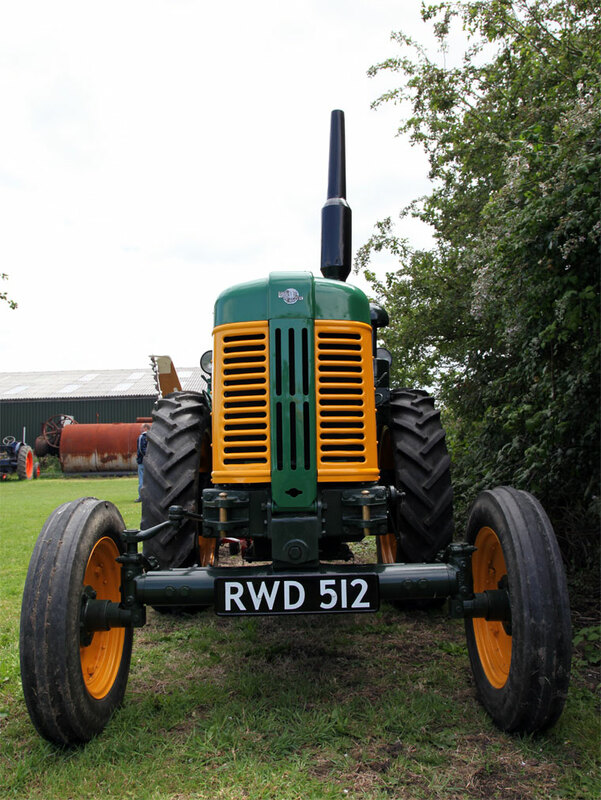 A range of accessories was also developed including ploughs, cultivators, harrows and mowers. 1950 The tractor was submitted for test by the NIAE in June 1950 whereupon several problems were found. Even though the engine was re-designed in 1951, the tractor had gained a bad reputation. 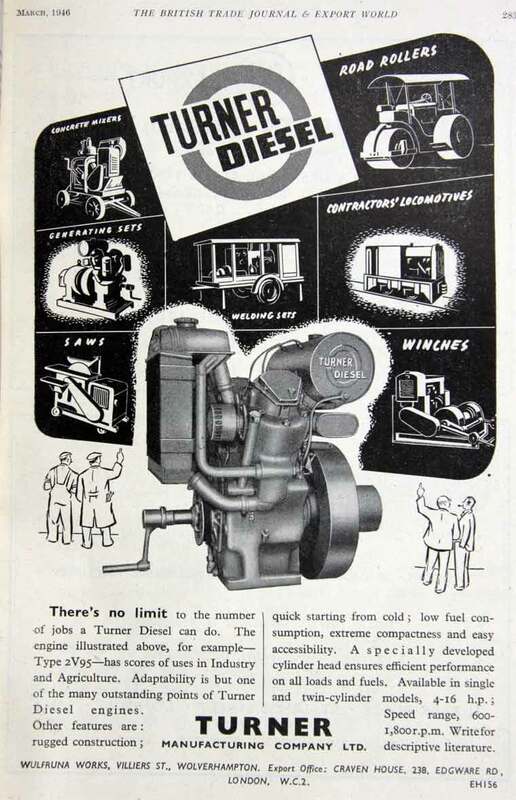 1956 Ceased manufacturing their own diesel engine and tractor; went into sub-contract work for the Perkins C499 engine and components for Ford tractors. 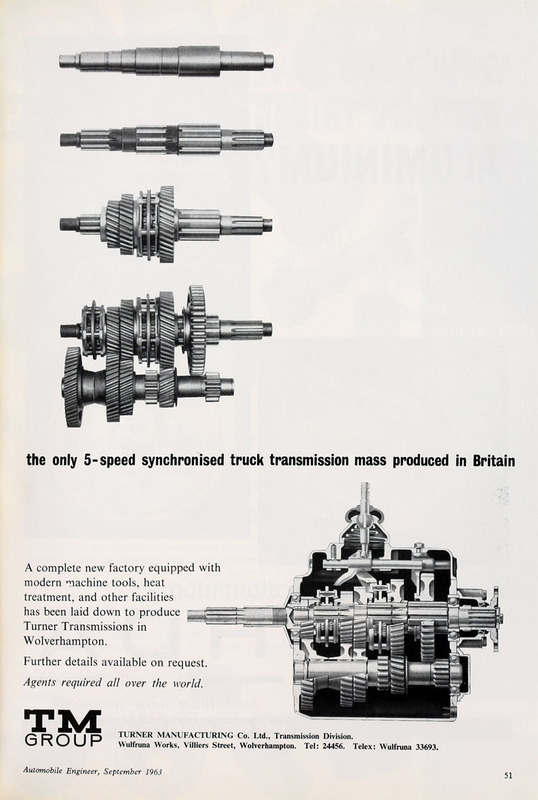 1962 Gearboxes supplied to Ford and Vauxhall commercial vehicles. 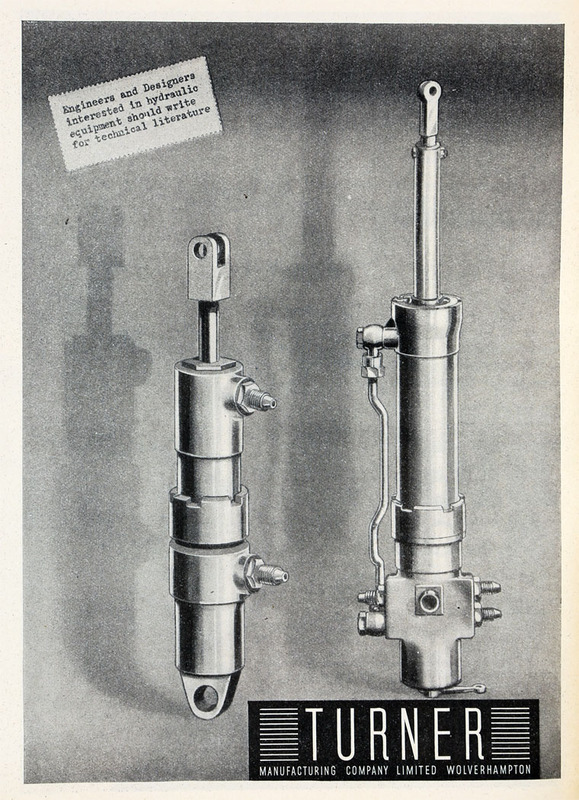 1964 Subsidiary Hydraulics and Pneumatics exploited opportunities in commercial hydraulics, won its first order for the tanker British Admiral for hydraulic control valves. 1966 Acquired Baetz Equipment Ltd which made pumps for oil storage and other metal fabrications. 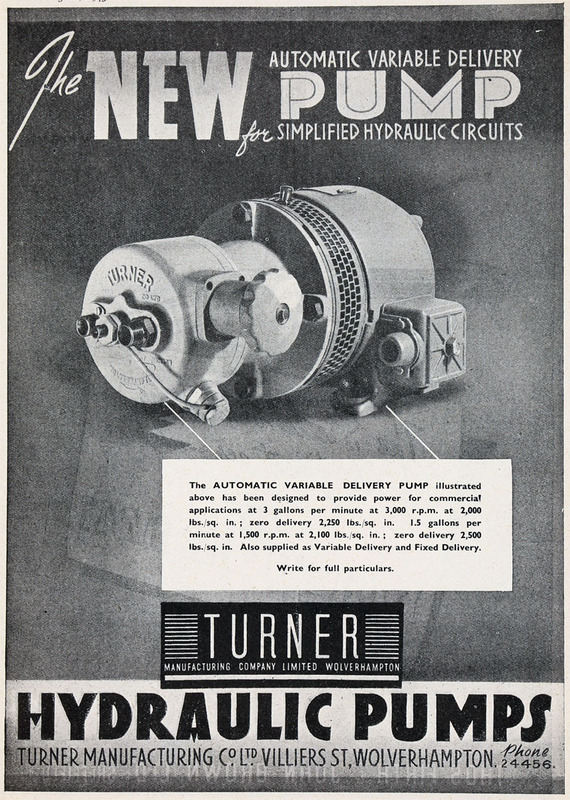 Turner Manufacturing Co became Turner Powertrain Systems and was purchased by Caterpillar in 1996. 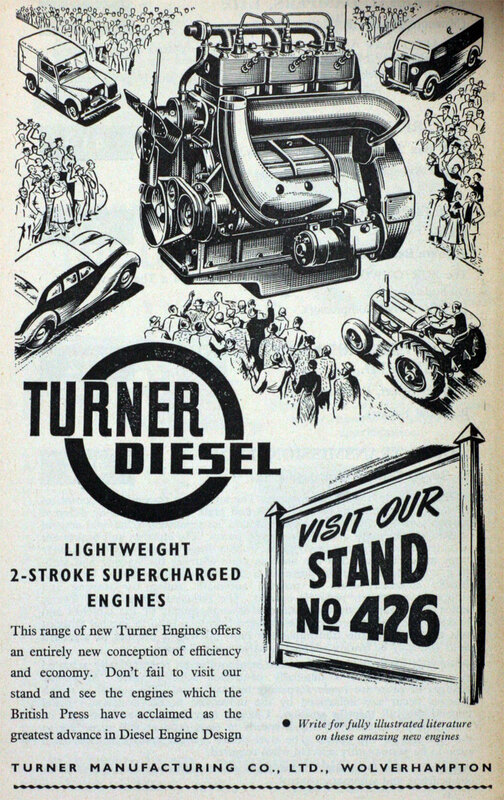 Post WWII: Turners started producing agricultural machinery. This resulted in the Yeoman of England tractor. The engine was designed in house by a Freeman Sanders who also developed the Fowler diesel and Ferguson TEF20 engine. 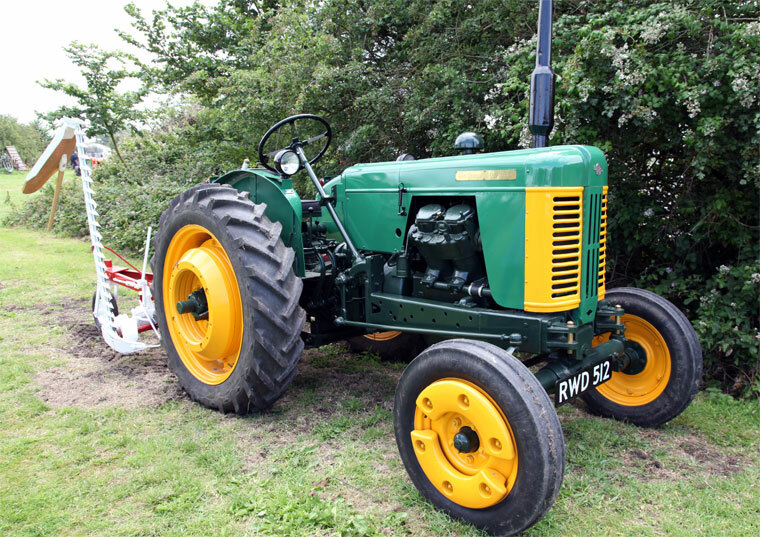 A range of accessories was also developed including ploughs, cultivators, harrows and mowers. 1950 The tractor was submitted for test by the NIAE in June 1950 whereupon several problems were found. The radiator was too small and the engine overheated when undergoing a belt test. Problems were also found with the transmission. After these problems had been solved the tractor went on sale for £690 which was more expensive than the opposition. Unfortunately problems continued to surface, the air cleaner had to be replaced because the elements were breaking up and being drawn in to the engine cylinders. The engine didn’t start very well in cold weather and many machines suffered from head gasket failure. The major problem remained the transmission wasn't sufficiently robust, resulting in many failures. Thus even though the engine was re-designed in 1951, the tractor had gained a bad reputation. Predictably sales were affected although production apparently continued until 1957 although alternative tractors were available for some £300 less. 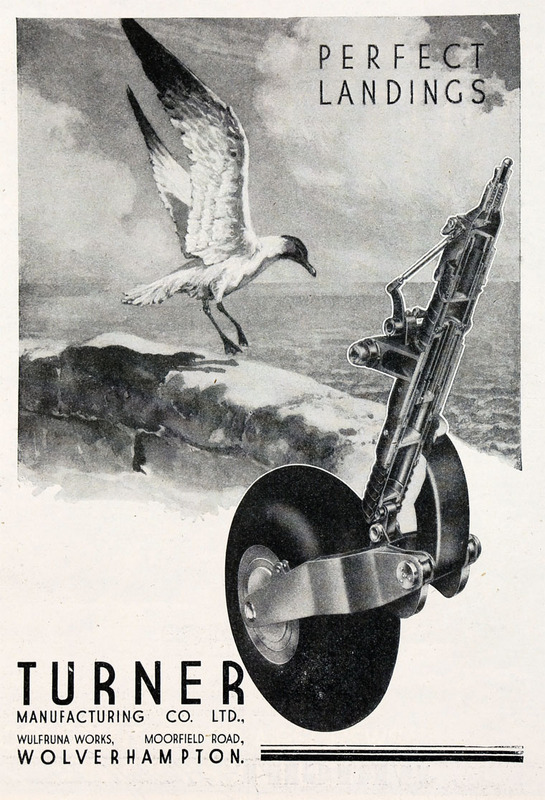 Turner was a motorcycle produced in 1946. It was a radical contraption and a one-off. It was seen in Brussels in April 1946, called the Turner Byvan, and was constructed from components left over after the end of World War II. It had a 126cc Royal Enfield wartime Flying Flea engine and three-speed gearbox, mounted on top of the pressed-steel front forks and which drove the wheel by chain. The rest of the machine was a large box, fitted with forks to provide a mounting for a wheel at the rear, and with a seat for the rider on top. In effect, it was just a large parcel carrier and nothing further came of it. This page was last edited on 6 January 2019, at 18:39.